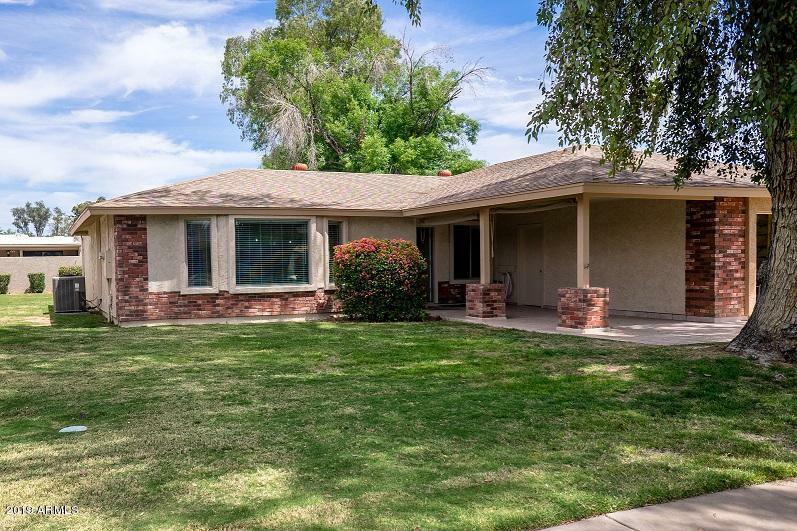 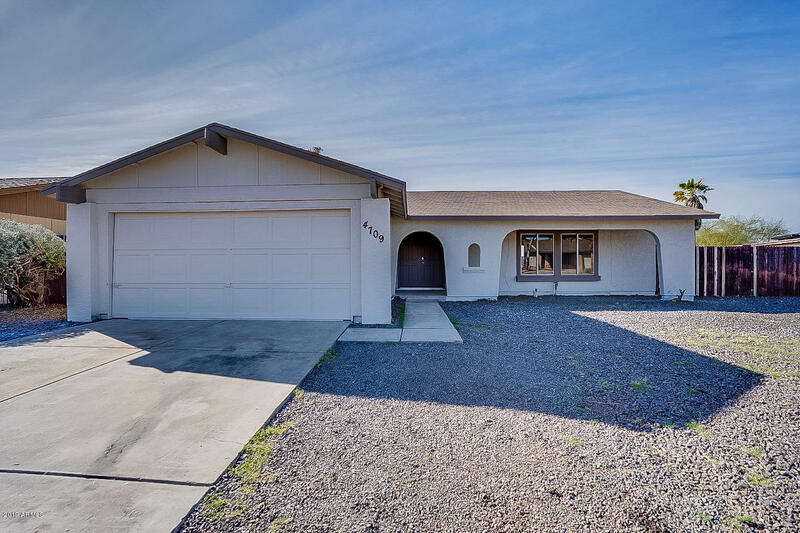 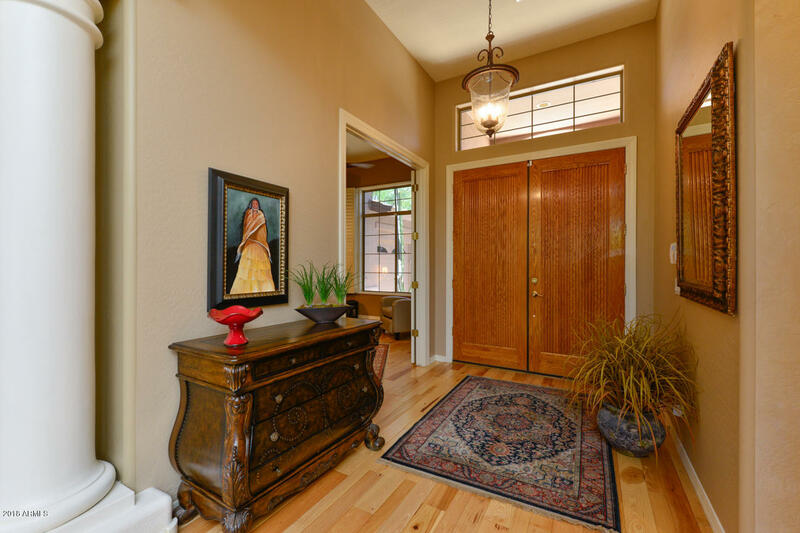 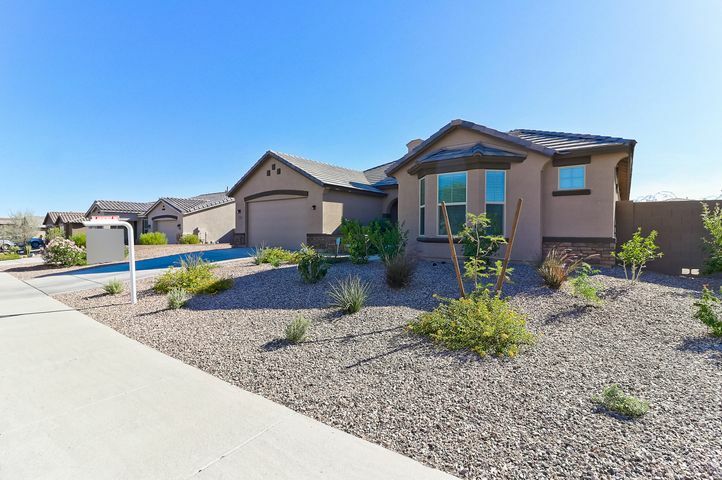 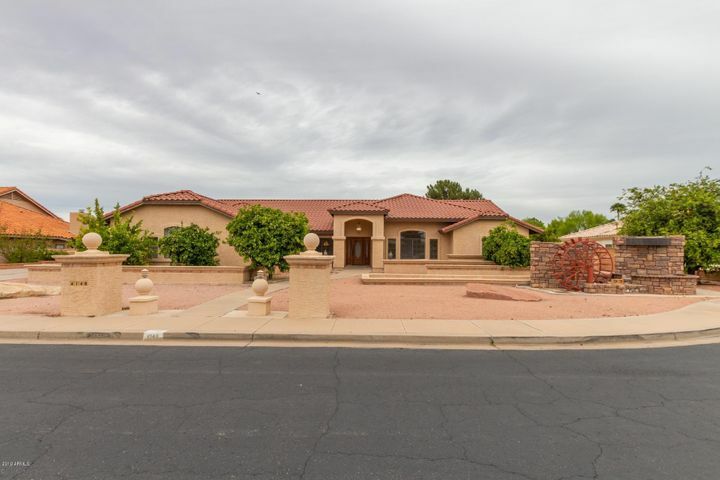 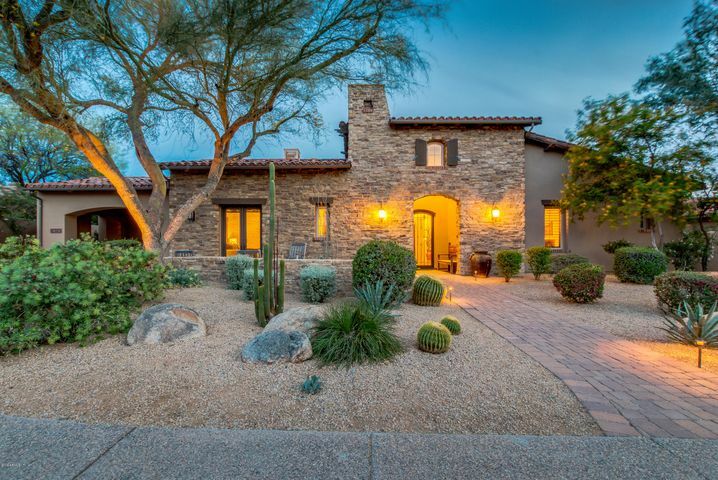 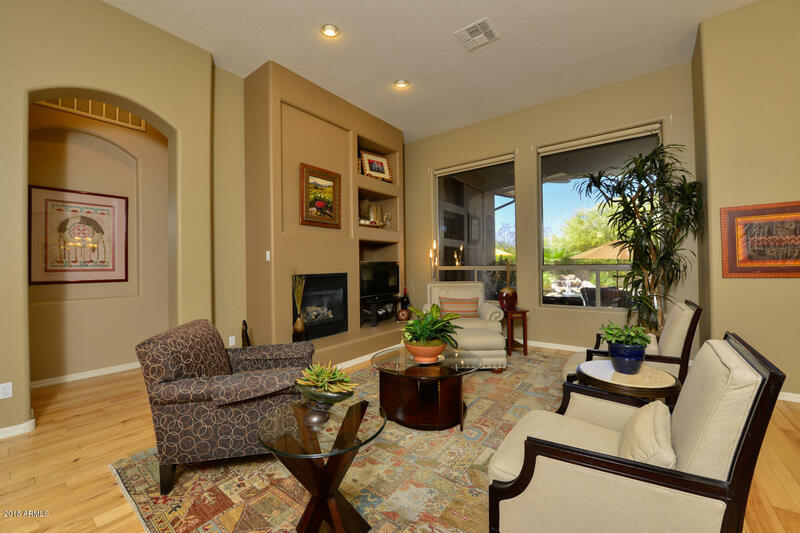 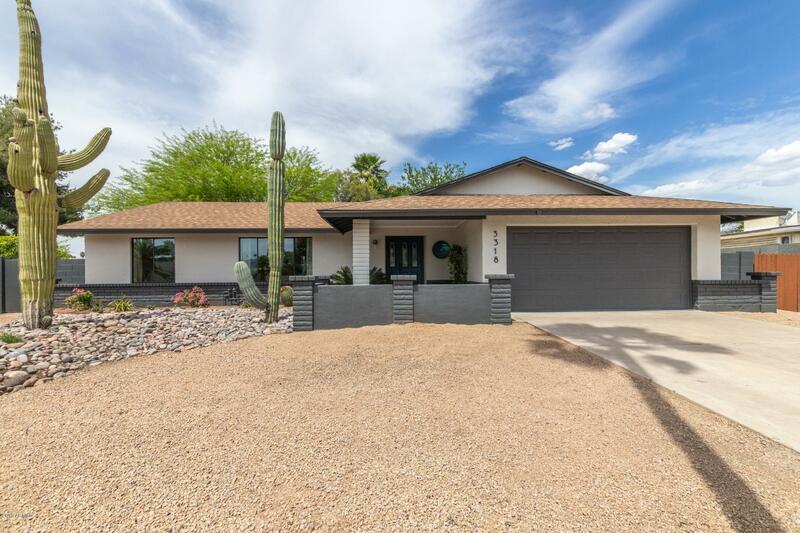 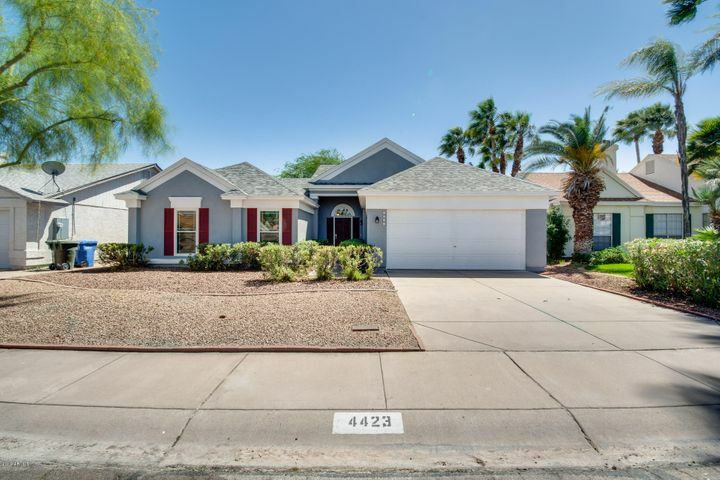 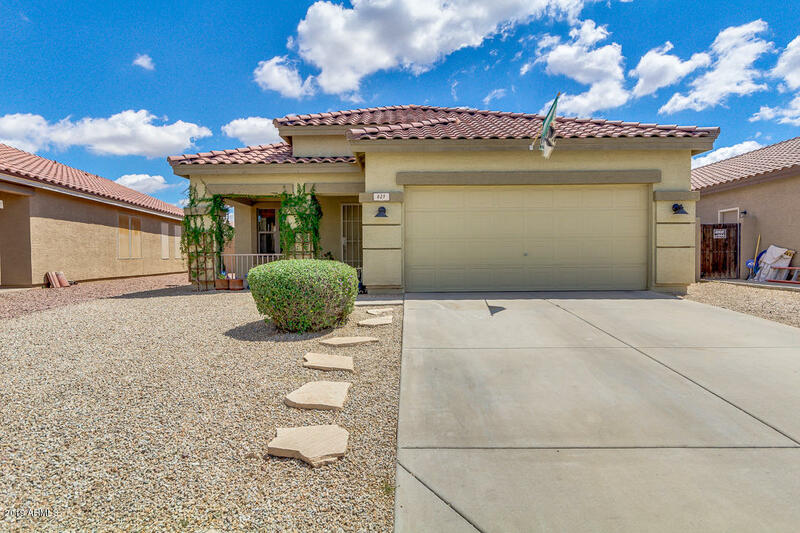 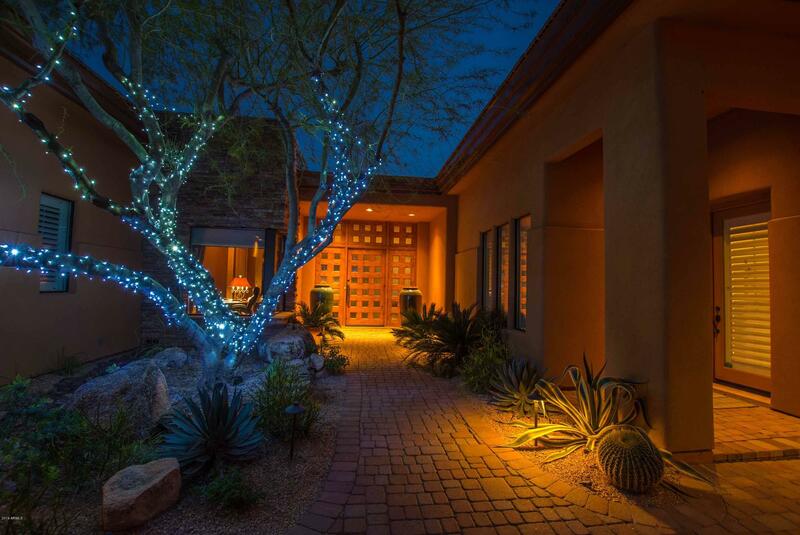 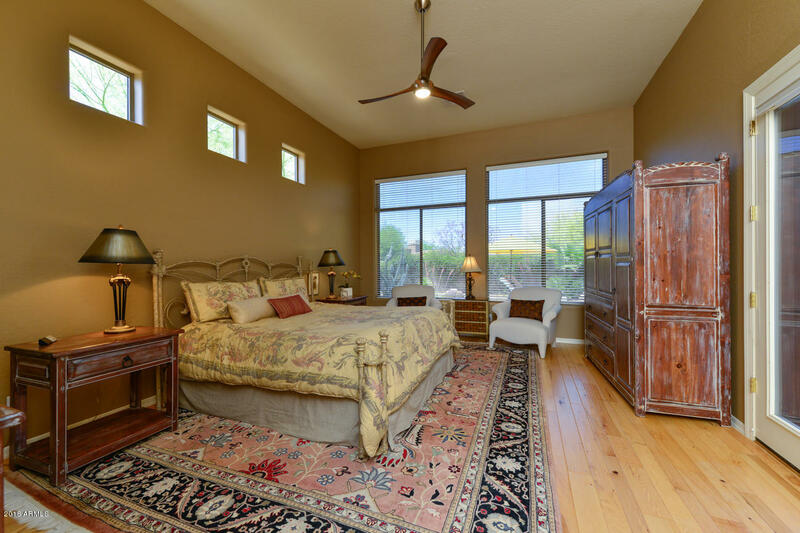 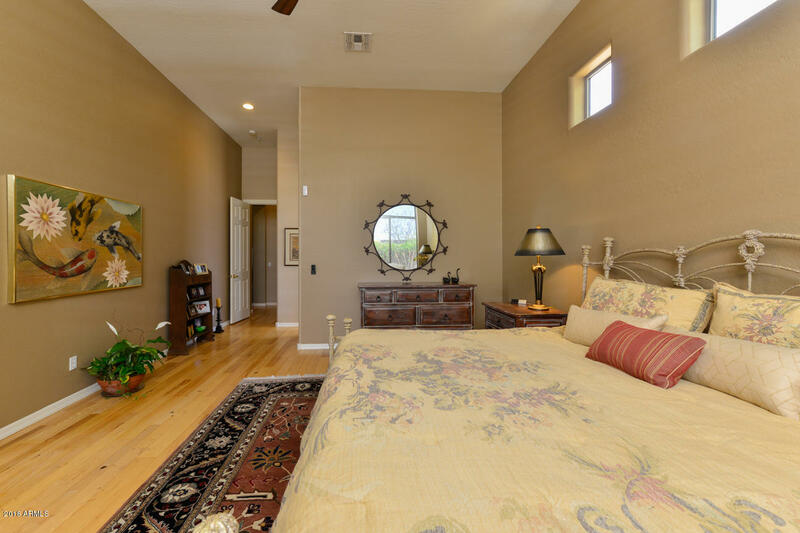 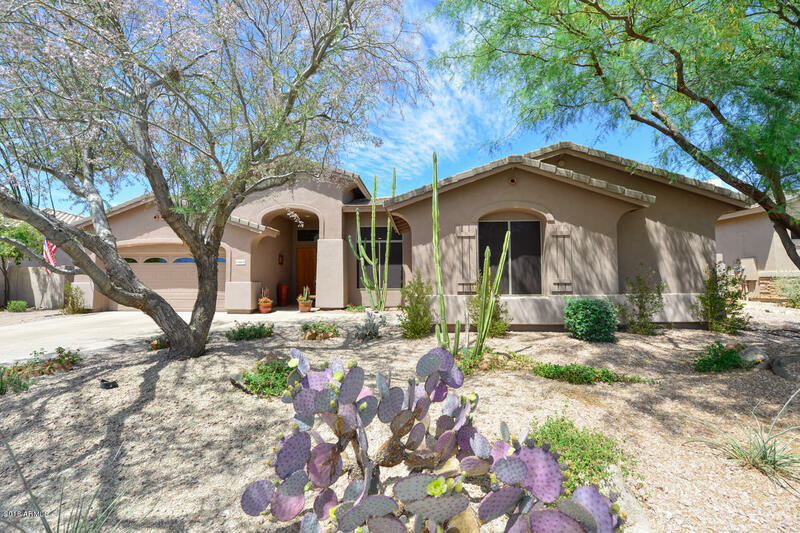 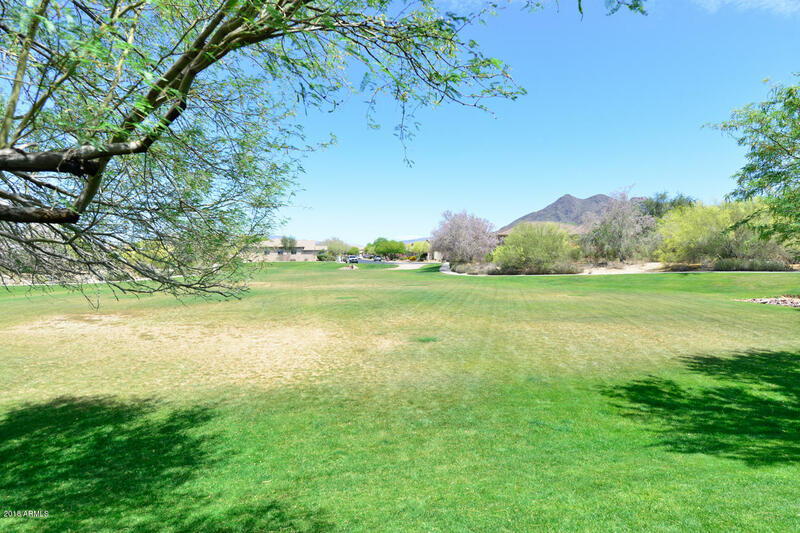 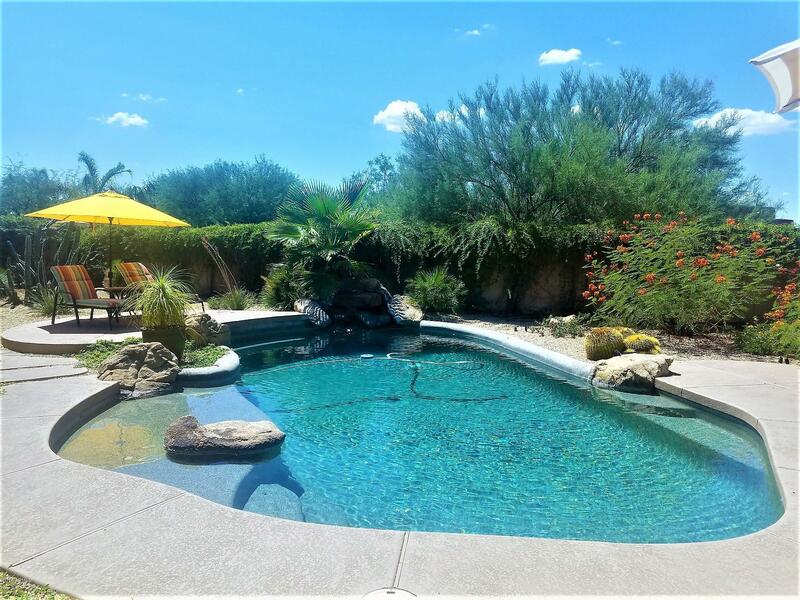 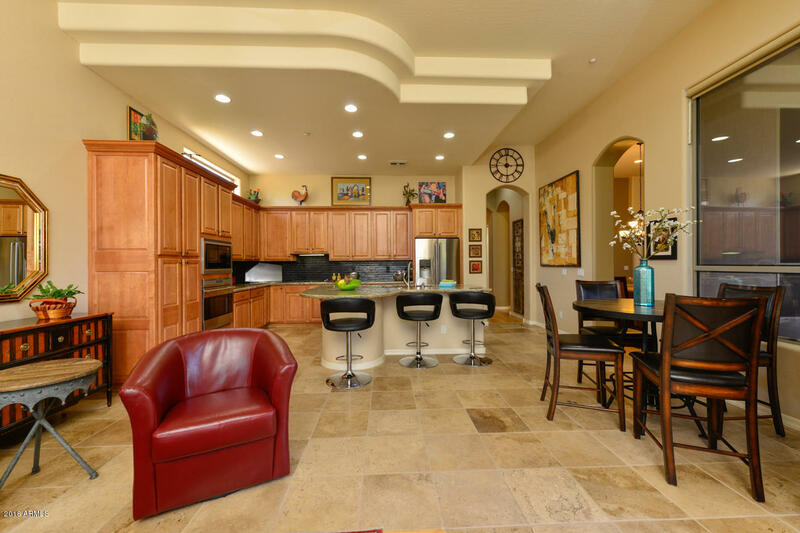 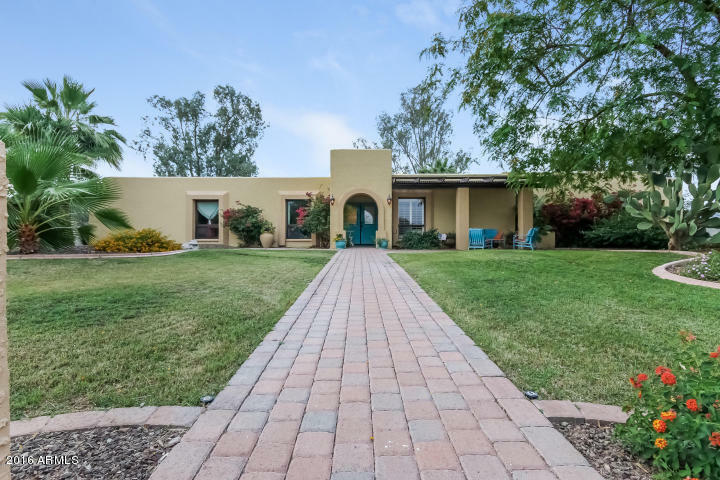 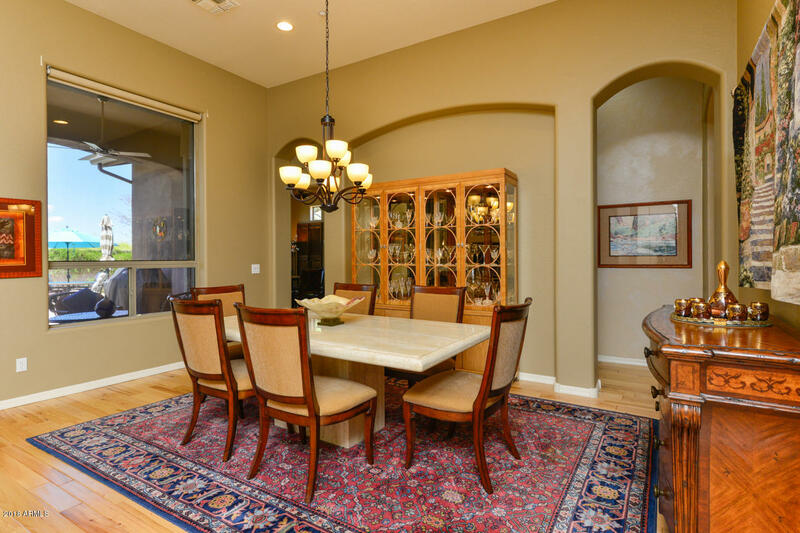 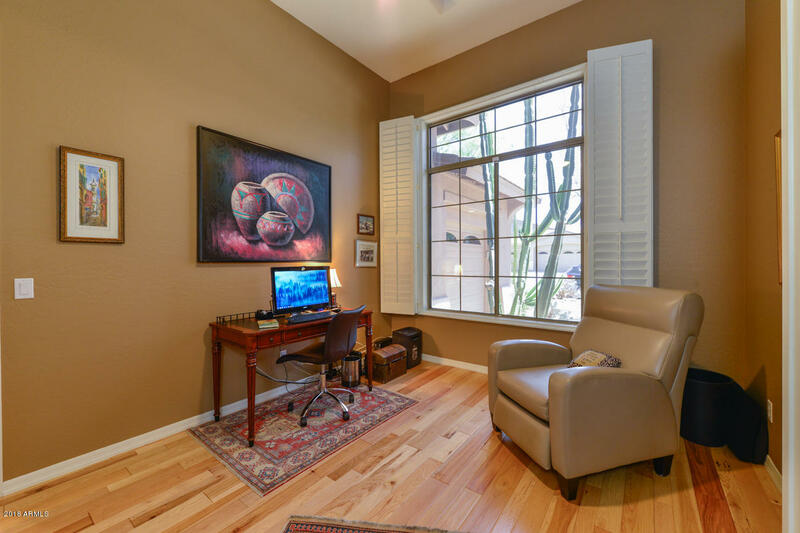 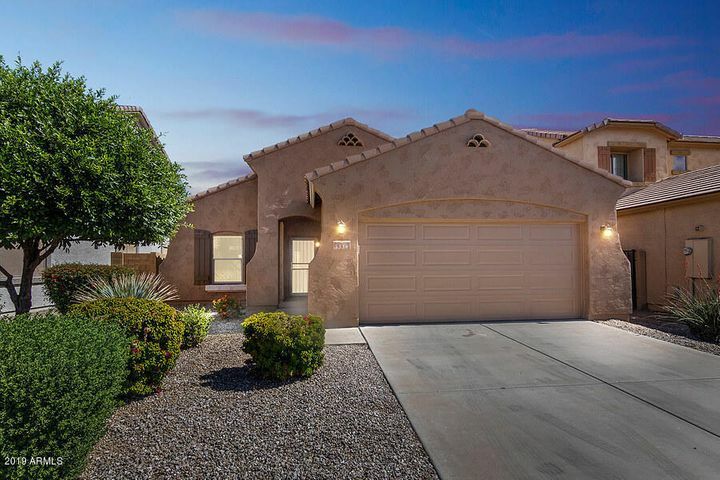 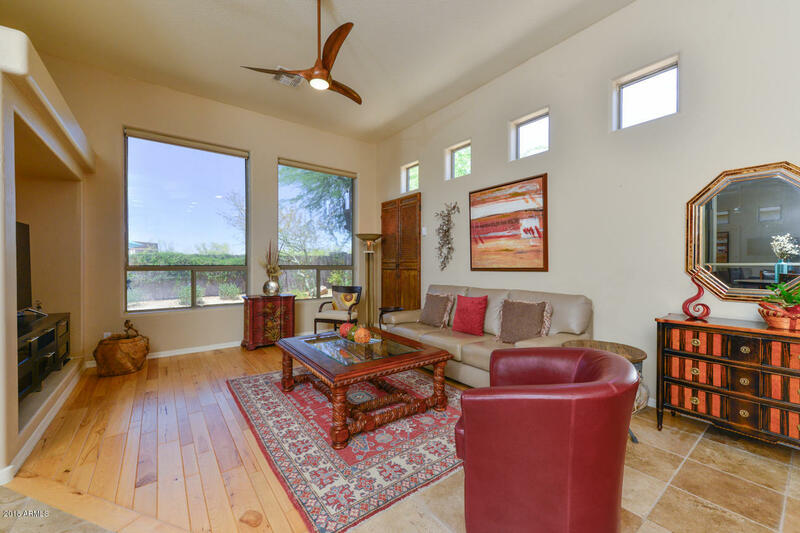 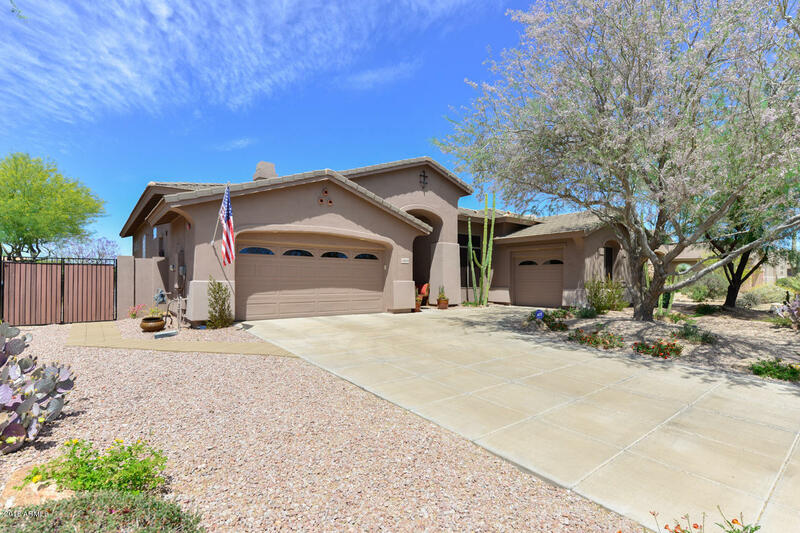 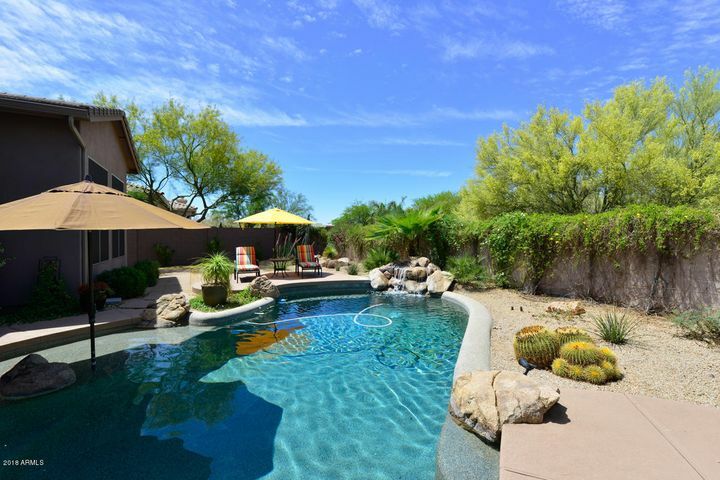 Perfect beautiful home shows like a model in this gated community of Los Alisos with mountain views near Cave Creek & Carefree & close to Boulders Resort & Spa, restaurants & cafes! 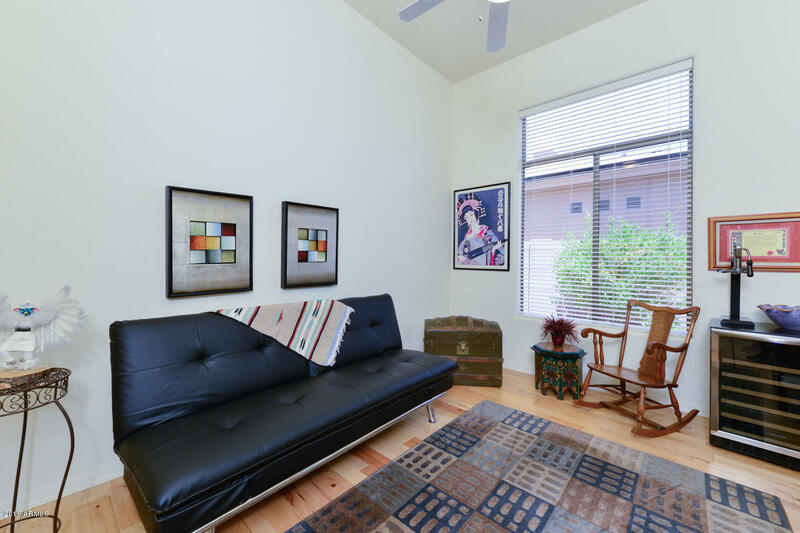 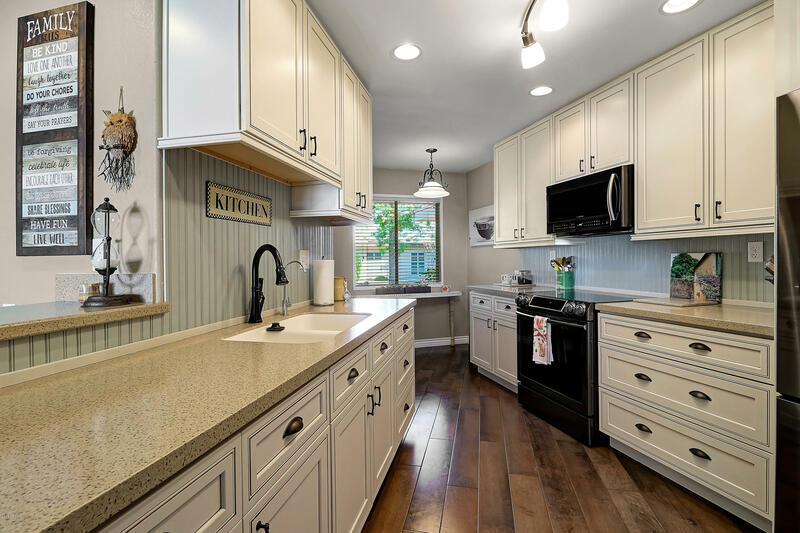 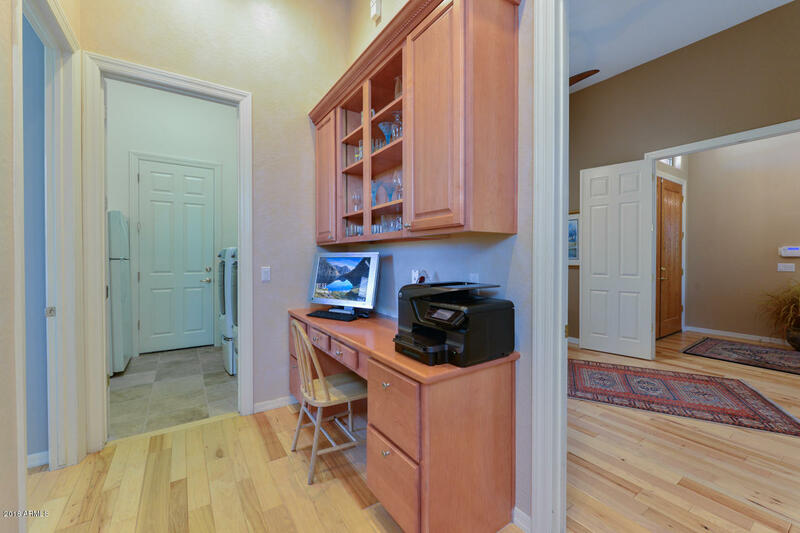 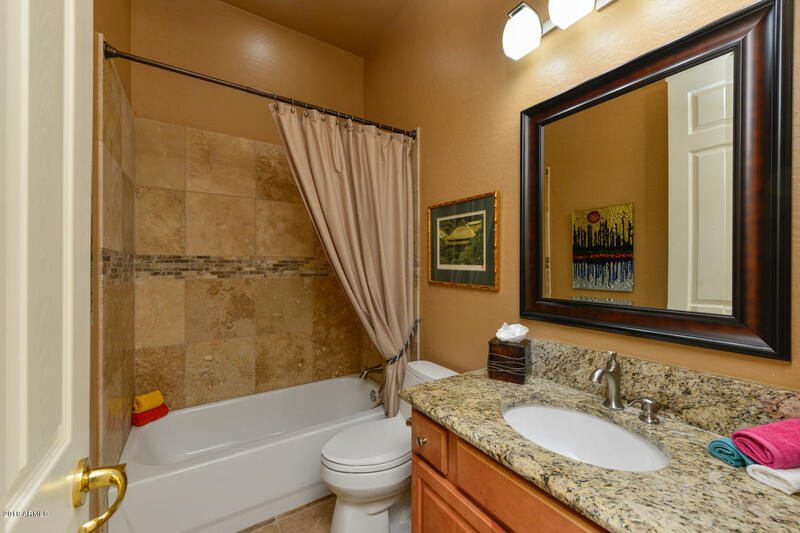 Perfectly upgraded with designer touches throughout! 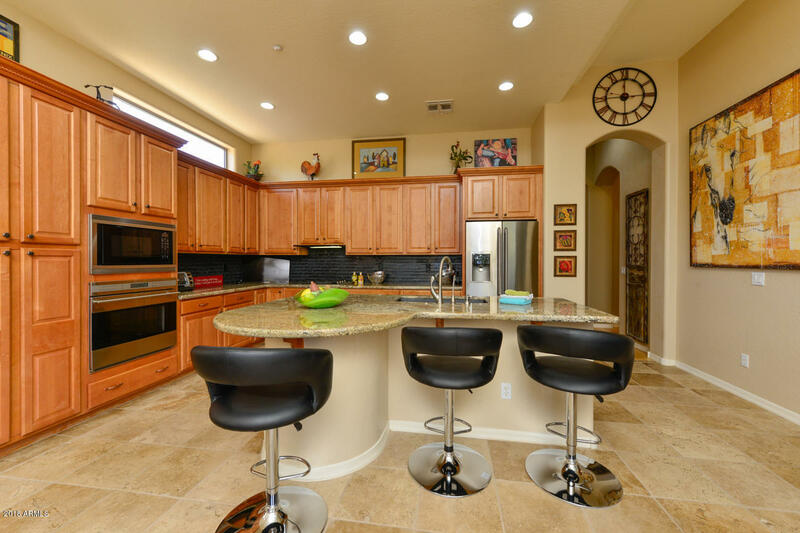 Gourmet kitchen w/huge granite island, SS Wolf appliances, travertine &, gorgeous hickory wood floors! 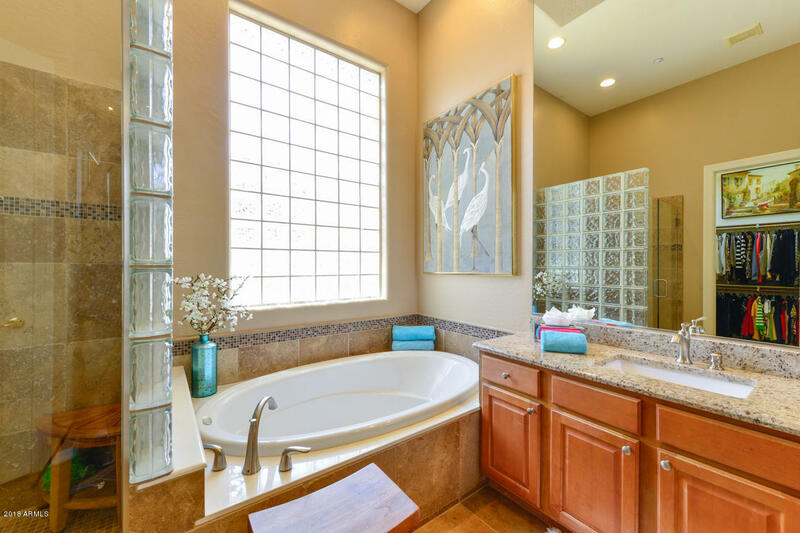 Upgraded bathrooms with granite & travertine. 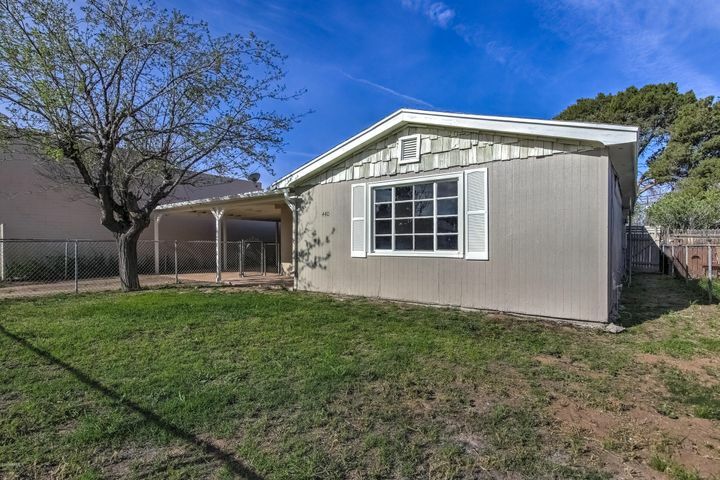 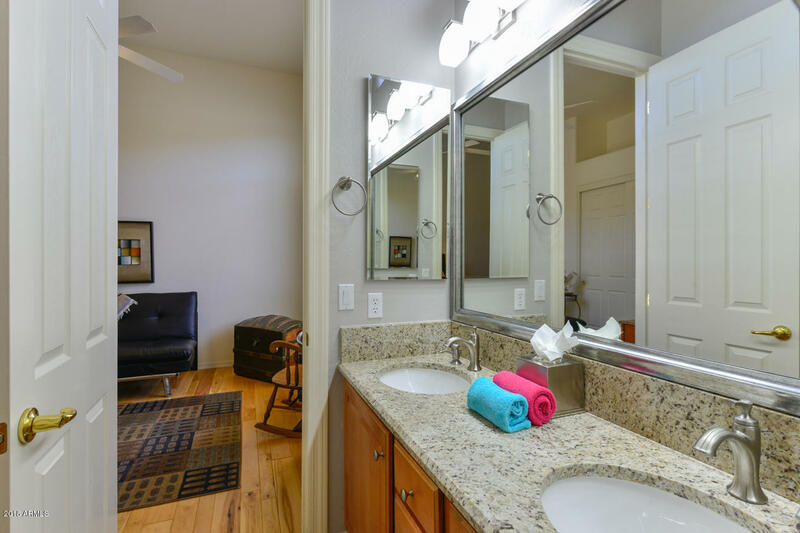 Perfect split floorplan, high ceilings, large master closet, huge tile master shower & separate soaking tub. 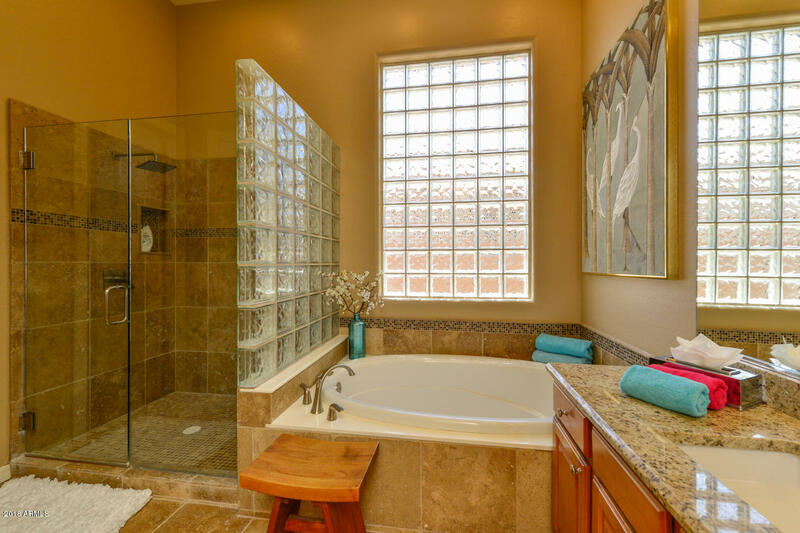 Large bright windows with views of Pebble Tec pool & waterfall feature. 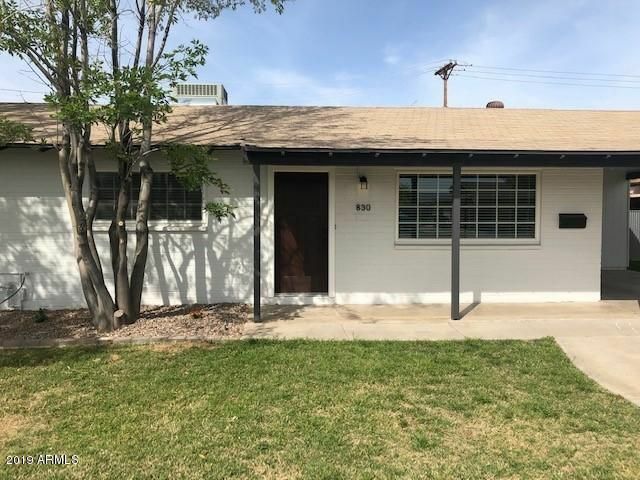 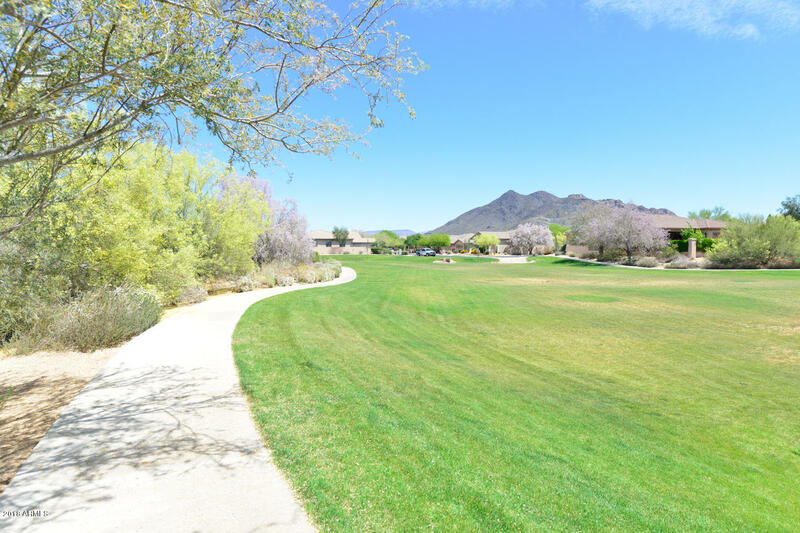 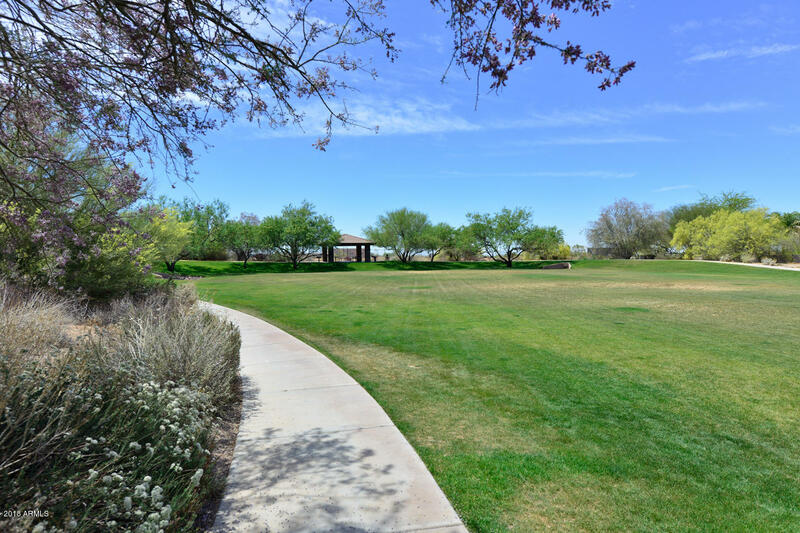 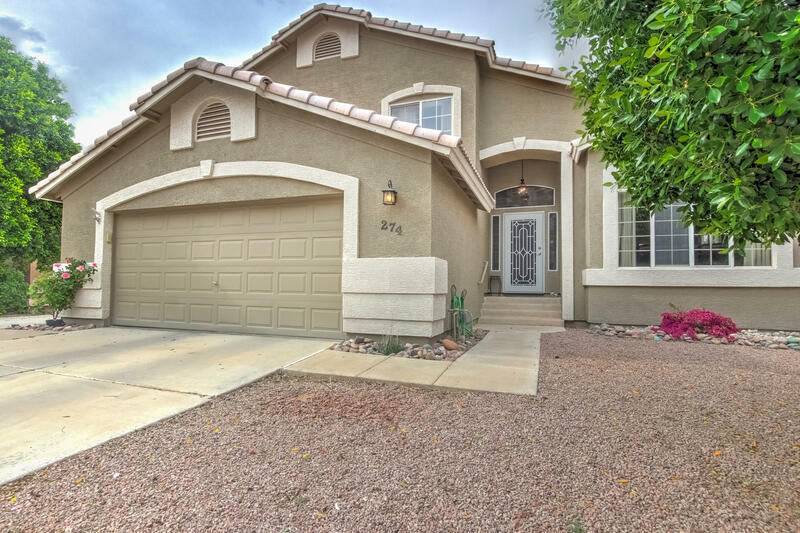 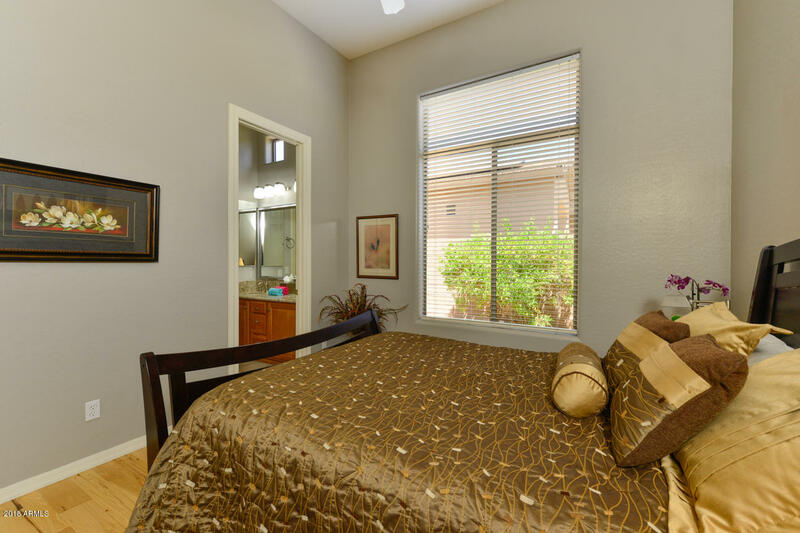 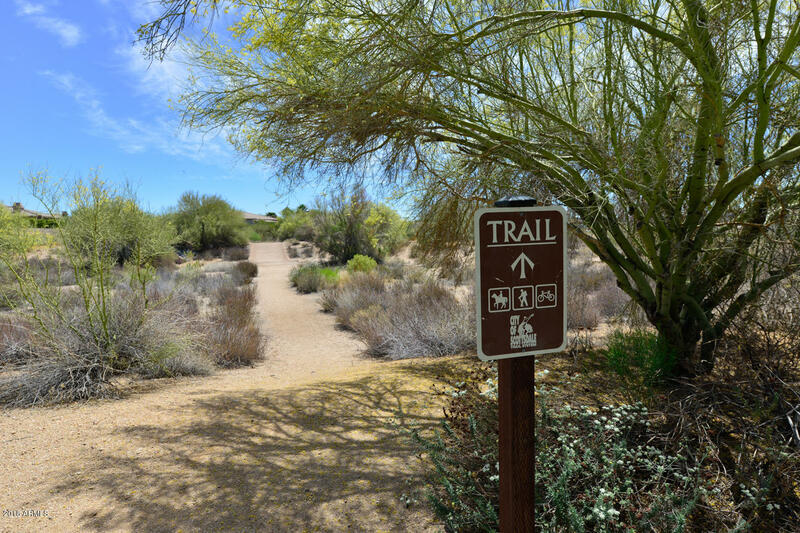 A few steps to community park & walking paths close to Desert Foothills Family YMCA & Paradise Valley Community College! 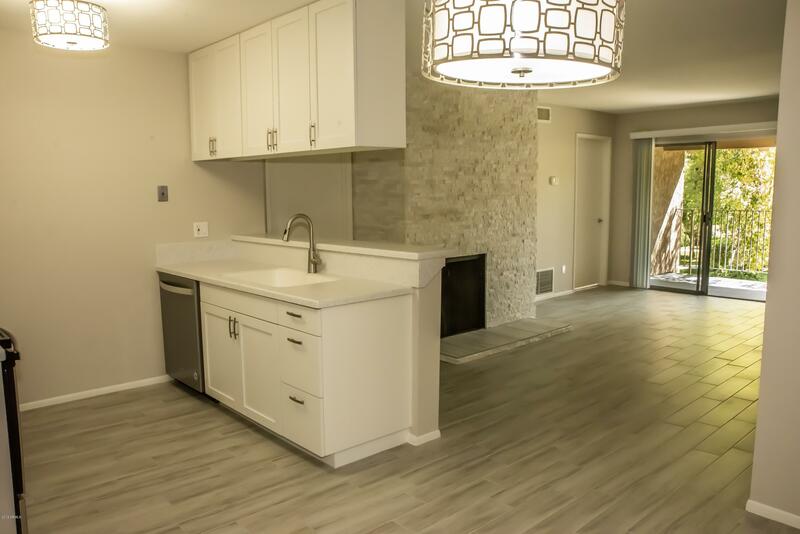 Extra storage in 3 car epoxied floor garage!